Online stream anime episodes, Watch Naruto Shippuuden Episode 32 English Subbed online and free episodes. Anime Episode guide, Chapter Naruto Shippuuden Episode 32 English SubbedReturn of the Kazekage Deidara, revealing that the self-detonation was caused by his clone, survives his battle and begins to search for his missing arm. Meanwhile, Zetsu and his new subordinate, Tobi, who wishes to join Akatsuki, search Sasori’s remains for his ring. Deidara later finds the two searching for his own ring. The Konoha ninja begin to leave Sunagakure after their mission. In Konoha, Danzo gives Sai instructions for his secret mission after joining Team Kakashi. 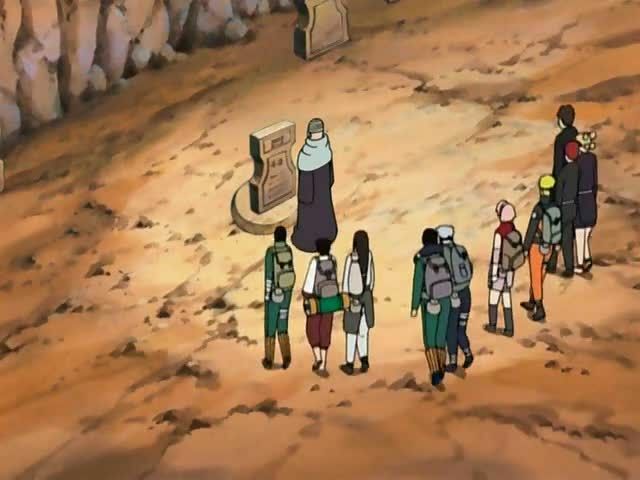 In Sunagakure, the Konoha and Sand ninja pay their respects at Chiyo’s grave, and Naruto and Gaara shake hands before departing.